At Arlington Court our team of caregivers understand that you are an individual and unique. Therefore, from day one we will work with you and your loved ones to develop a plan of care that works for you, not one that is predetermined before we even meet. We realize that many times our residents would prefer to be home instead of a care giving facility. This is why our staff has gone to great lengths to make our facility warm, inviting and as home-like as possible. 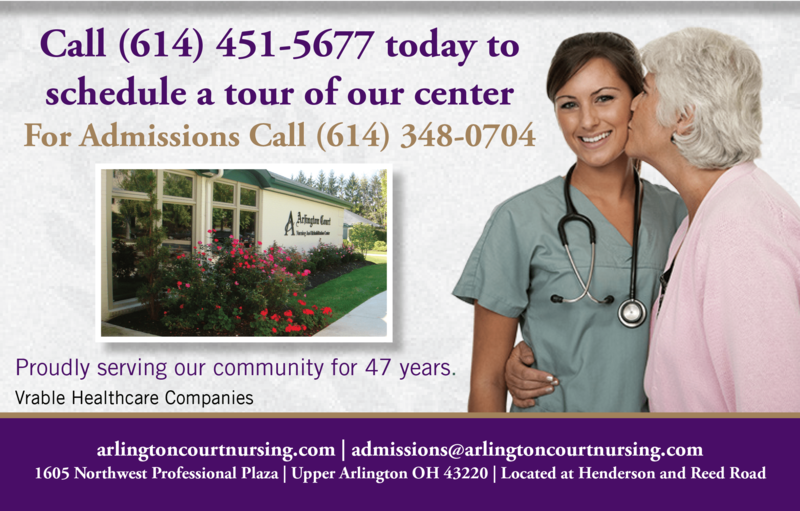 Come visit our facility which has been serving the Upper Arlington and Northwest Columbus community for over 30 years. See why Arlington Court is the next best thing to home. We know that families who have just placed a member in a residential facility have special needs too. To help them cope, we offer support meetings, pre-admission interviews, and personal meetings with administrative staff. Meet the Arlington Court Staff.